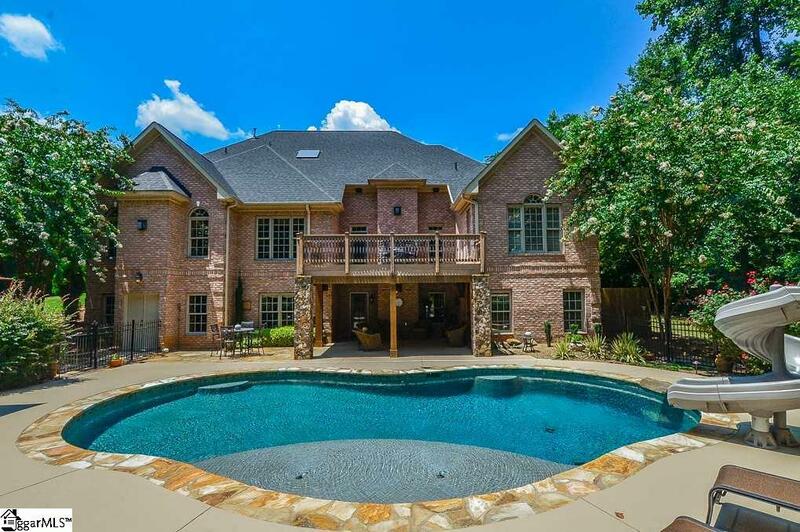 SPECTACULAR PROPERTY Built by Jerry Miller (One of the Best!) 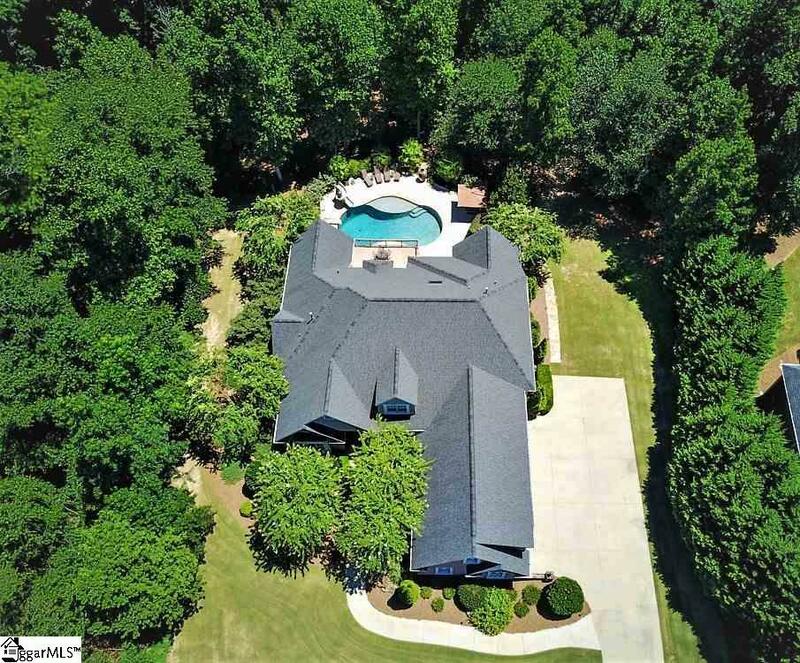 with 1.08 Acres of PRIVACY (Backs up to Large Extensively Wooded Common Area w/Walking Trails). This home WILL Impress the Most Discriminating Buyers plus the Basement can be an Entirely Separate Living Quarter w/Full Kitchen, Eating Area, 2nd Laundry Room - Great for Extended Families and/or Guests! 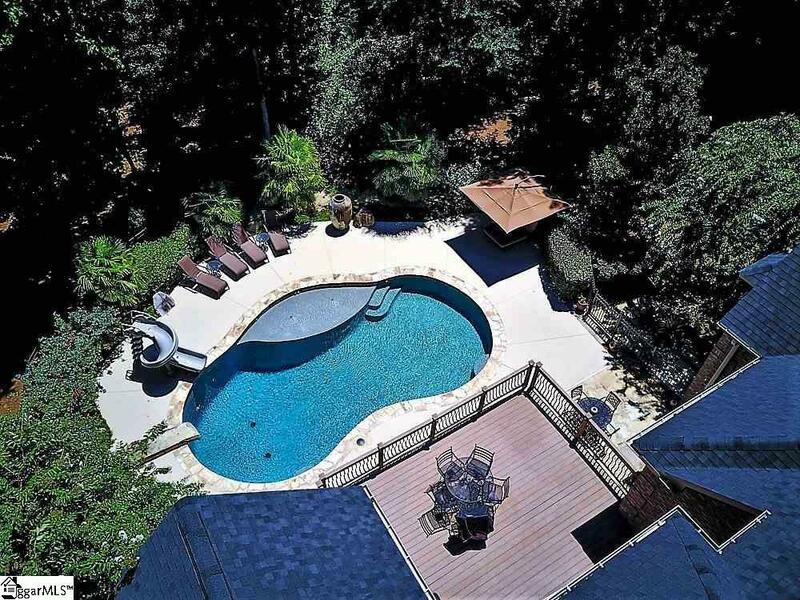 Outdoor Entertainment Galore w/Gunite Salt Water Pool, New Energy Saving Pool Pump, Fantastic Water Slide, Lush Landscaping for Privacy, Stone Fire Pit, Large Covered Patio adjacent to Pool, Upper Deck, plus any man's dream Workshop that has 2 Accesses to Interior Basement Level (Outdoor Access also). 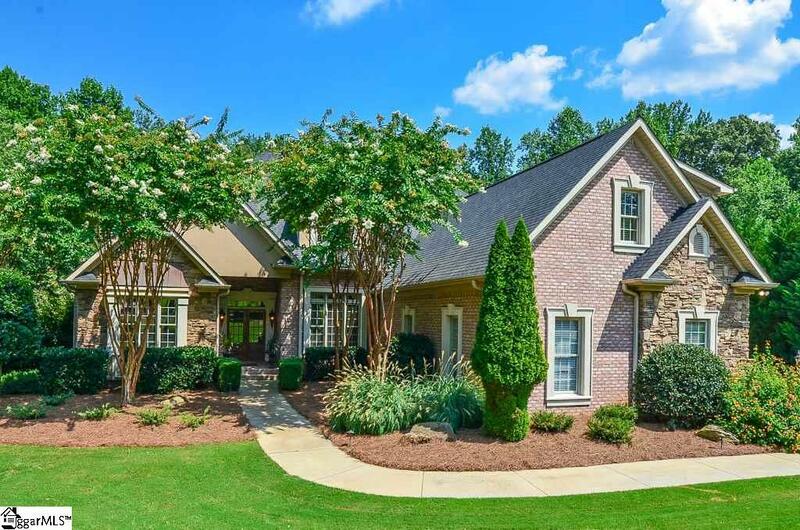 Here is a List of All the Rooms/Areas: Large Main Floor Master BR/BA w/Sitting Room, 4 Additional BRs, 4 Full Baths, Powder Room, 2 FULL KITCHENS and 2 LAUNDRY ROOMS (Main Floor and Basement), Great Room w/18' Coffered Ceiling, Main Floor Family Room w/2 Story Stone FP, Breakfast Area w/Views of Pool, Large Dining Room w/Custom Ceiling, Office or Living Room w/Trey Ceiling, Elegant Foyer, Large Loft w/Hardwood Floor and Adjacent "Very Large" Cedar Closet, 2nd Floor Office w/Built-Ins, Very Large Bonus w/2 Large Walk-In Closets, Media Room w/Large Walk-In Closet for Storage, Exercise Room, Game Room, Basement Family Room w/Stone Fireplace (Access to Covered Patio and Pool Area), Basement Eating Area, Extremely Large Walk-In Closet off Basement Bedroom, and Workshop w/Great Lighting (50x18). A few other features: Invisible Dog Fence; Professional Landscape Lighting - Front and Back; UV Tinked Windows back portion of home; "Dry Beneath Roof" for covered pool patio; Garage and Workshop Built-In Closests/Shelving; Plus NEW ROOF 2014! **Within the next 3 weeks these areas will be Professionally Painted with Neutral Tones suggested by a Well Known Interior Designer - Main Floor Kitchen and Master Bathroom Cabinetry, Master Bedroom/Sitting Room plus Ceilings, Master Bathroom, Main Floor Kitchen and Breakfast Area, and Great Room w/Floor to Ceiling Fireplace. ** Media Room Chairs and Platform Convey, Media and Sound System Equipment Negotiable. Located in Spartanburg's Premier Neighborhood of Carolina Country Club with Gate/Guard 24/7/365 (Only one of a few in the Upstate). Listing provided courtesy of Marcia Hersey of .